For more Information on some of the topics discussed on the show: Washing Eggs When Will my Chicken Start Laying? The Deep Litter Method Should I Heat my Coop? Biosecurity Salmonella Predator-proofing Eggshells for added Calcium Diatomaceous Earth for Pest Control Cold-hardy Breeds Adding new Flock Members Although Violet didn't come with me for the taping, I was assured that next time she is perfectly welcome to sit in on the show. 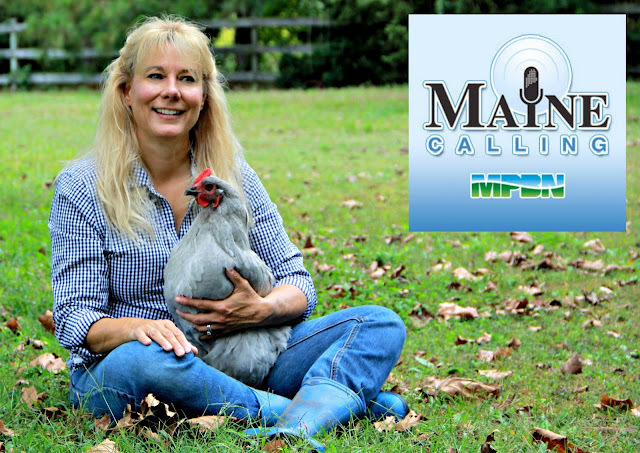 I told you, Mainers love their chickens!